AUSTIN, TEXAS, March 9, 2017	(Newswire.com) - Slingshot, formerly known as AR Group, which is comprised of three units: DÄV, Mindstores®, and AR&Co, announced today that its Mindstores® unit, launched in 2016 as the World’s first AR/VR partnership store network, has seen tremendous progress with more than 7,000 stores opened in Indonesia in under one year. The network has seen more than 150 percent month-over-month growth, with the potential to offer more than 4,000,000 new stores in Indonesia over the next two years. Most recently, Mindstores®, in cooperation with an Indonesian telco company, partnered to provide access for more than 150,000 women to start their own AR/VR retail businesses. Recently, Mindstores® was recognized as the World Record holder for being the first 3D virtual store network, presented by MURI (Indonesian Record Museum) in 2016. In addition to an award-winning track record, there are partnerships in place with various trusted retailer brands such as Alfamart (one of the largest mini-market chains in Indonesia), and many others. Slingshot is also proud to share it has been selected as one of five Indonesian companies chosen to represent the Nation at the South by Southwest (SXSW) Conference and Festival, which runs from March 10-19 in Austin, Texas. AR Group was appointed by BEKRAF (Indonesian Government Agency for Creative Economy), along with four other National technology leaders, including Go-Jek, PicMix, GDP Venture and Emtek. Based largely in part to its pioneering leadership in the field of augmented and virtual reality, Slingshot is honored to represent Indonesia as a truly global technology company in the Country. Attending SXSW 2017 on behalf of Slingshot will be Daniel Surya, Chief Executive Officer; Jeffrey Budiman, Chief Technology Officer; Elsie Mullers, Managing Director for USA; and Firnando Sirait, General Manager of DÄV, who will meet with the directors of Creative Economy Nation while in Austin. With the goal of delivering impactful, memorable experiences by merging both virtual and real worlds, the Company is also proud to share that it has implemented more than 500 projects in 20 countries to date, including projects in Singapore, Malaysia, Thailand, Philippines, Hong Kong, The United States, Spain, and Malta. Slingshot’s work has been recognized globally by portfolio brands such as Disney, Cartoon Network, Samsung, LG, Intel, Lenovo, Sony, Unilever, Nestle, Toyota, and Castrol, and for its work in developing an application for Nigeria's recent presidential election. Mindstores® is the World’s first AR/VR partnership store network, where trusted retailers & virtual store owners meet. Mindstores is established and dedicated to growing and increasing women’s wealth in emerging markets, especially mothers & housewives, by giving then an opportunity to open and operate their own AR/VR store. Women are able to own or become a franchisee of trusted retailer brands with a very minimum of investment. Currently Mindstores has thousands of (virtual) store owners in Indonesia, utilizing advanced mixed reality technologies (Augmented Reality / Virtual Reality). Mindstores provides an AR/VR marketplace platform that Allow trusted retailers to expand their network without encountering real estate, capital, labor and physical store permit constraints. AR&Co is Asia’s largest augmented reality technology solution company, specializing in augmented reality content development. With the goal to deliver the most impactful, memorable experiences through the merge of both virtual and real worlds, AR&Co has its focus on continuously developing solutions that cover both the AR engine and its entire integrated enhancements serving as a whole new ecosystem. AR&Co has delivered various AR implementations and applications for Hasbro, Toyota, Samsung, LG, Danone, Nissan and many others. DÄV is the World’s largest AR media placement company (specializes in one-on-one measurable, interactive media placements). DÄV allows consumers to grab products & engage with brands by positioning it in front of DÄV devices located in retail outlets through real-time interactive content and information. Currently, the Company offers thousands of devices for brands to place their interactive advertising content in retail outlets in Indonesia. Located near product(s) at the rack shelving area, it is the media with the closest proximity to the products. For the first time, consumers at retail spaces can play and interact with the product’s packaging. Slingshot will be at the Indonesian exhibition section named Archipelageek. The company will demonstrate Mindstores, AR&Co, and DÄV technological advancements and capabilities. 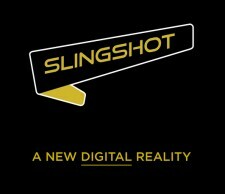 Slingshot, is the new Digital Reality group comprised of companies shaping the future that bridge positive impact through meaningful products, services and experiences. Made up of three very innovative and distinct units, Mindstores, AR&Co, and DÄV, Slingshot has been making augmented reality an actual reality for companies across the world since 2009, when AR was still unknown in the marketplace in industries such as consumer goods and electronics, education, entertainment, media, medical, military, telco, tourism and finance. Also, Asia’s largest Augmented Reality company including all its integrated enhancements ranging from Virtual Reality to Artificial Intelligence, Slingshot has received numerous awards for creative technology from international bodies, including the i40 award recognizing the Global 40 Most innovative companies, for two years in a row, "Best Augmented Reality Campaign" category winner at the Augmented World Expo in Silicon Valley, California (USA), and Gold category winner at the SMARTIES APAC for its project in Vietnam. 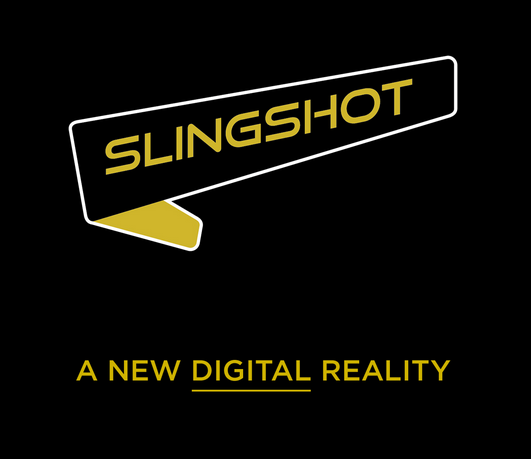 Slingshot, is the new Digital Reality group comprised of companies shaping the future that bridge positive impact through meaningful products, services and experiences.